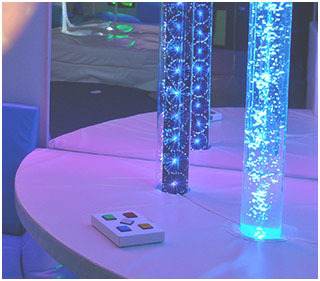 Find therapeutic, educational & sensory solutions for the autism spectrum. Browse room packages for home, school & clinic. Improve small movements of the hands, wrists, fingers, feet, toes, lips and tongue. Use large muscles in the arms and legs to move roll, crawl, walk, run and jump. Absorb incoming sensory signals – vision, hearing, smell, taste, touch, vestibular and proprioception. Tools, assessments, and resources to support individuals and families going through transition from adolescence to adulthood. Learn to recognize, organize, interpret and remember visual images. Interact in a socially acceptable and age-appropriate manner. Perform skills or make fluid movements with both sides of the body. Train your brain to conceive, plan and execute movements and sequential tasks. Experience a full body hug! Portable frames that can be set up in minutes - indoors or out! Our mission is to improve the lives of kids with special needs. 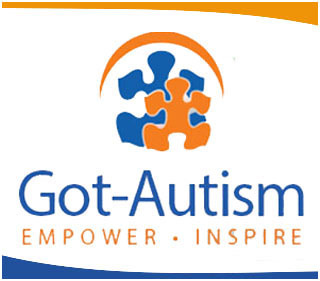 We are dedicated to providing the best disability aids for children at affordable prices every day, and we offer thousands of therapeutic, educational and adaptive solutions for those on the autism spectrum – those with Asperger Syndrome, ADHD, Sensory Processing Disorders and other learning and behavioral challenges. Our products are designed for parents, educators and therapists, and include special needs tools, learning gamesfor kids and teens, adapted items and tactile toys for sensory-seeking behavior. Our special needs toys are bright, functional and engaging and are designed to fit your family's needs. While our product selection is specifically geared toward autistic children and those with other developmental disorders, they are perfect for any young child practicing fine motor skills, critical thinking and more. Our sensory products perform a variety of functions, including helping those with integration disorders to develop important motor skills, properly organize sensory information and increase proprioception. At Got-SpecialKids, we strive to provide multi-purposeful learning products that will help your kids achieve their goals by having fun. By providing engaging items designed to bring focus, children are able to work hard without feeling pressured, anxious or overwhelmed. From child therapy toys and tools for school to assistive technology products, we are your all-in-one stop for products designed for kids with autism, developmental delays, sensory challenges or other special needs.